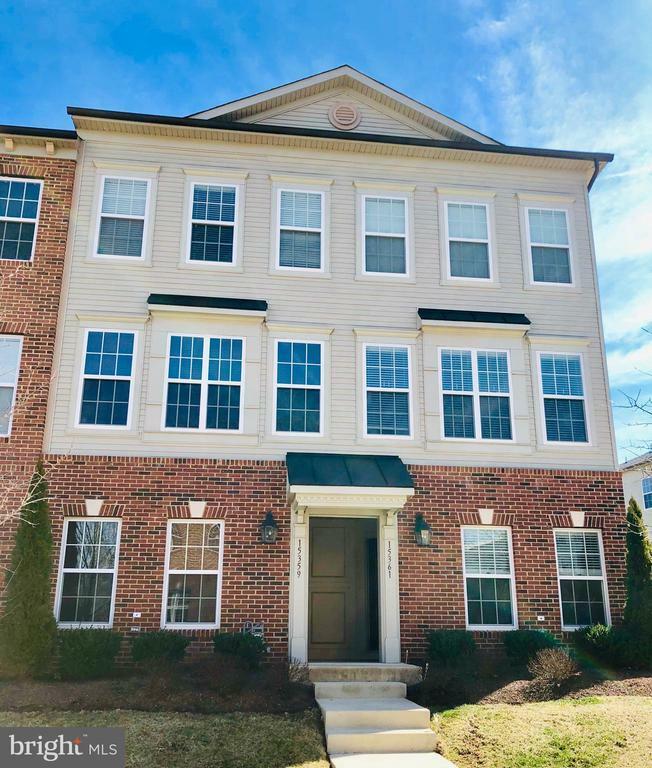 Stunning 3 level Garage Brick Front Townhouse- MI/Savoy model offers 2 Master suites w/2.5 bath and an open floor plan sure to please! Upgraded carpet and freshly painted! Main level with spacious family room. Upgraded Kitchen with large island, eat in area and granite counters. Gleaming hardwood floors. Spacious Balcony. Large upper level bedrooms each with walk-in closet and private baths. Lower level w/office can easily be converted to 3rd BR by installing a wall. Rough in avail for full bath. Walk to Heathcote Health Center & New Kaiser Facility. Close to shopping/dining, commuter routes and 66. Directions: From 66W take Exit 40 onto US-15, Keep right onto James Madison Hwy., L onto Heathcote Blvd., R onto Rosemont Manor Dr. Your new home is on the right!